The West River Railroad is featured in the current (Winter 2016/2017) issue of Vermont Magazine. Ghost Train – a fond look back at the West River Railroad, written by Glenn Annis, with historic black and white photos from the author’s personal collection – is a wonderful glimpse of the history behind the current West River Trail. The Windham County Historical Society is going to 36 miles of trouble to hold their 2nd Annual Soup Fest and Silent Auction on Sunday, March 20, 2016. Doors open at 4:00PM with a $5.00 admission at the NewBrook Fire Station (Route 30 in Newfane, VT). The event will help raise funds for the Windham County Historical Society’s restoration of the 1880 Newfane Railroad Station as a Museum of the West River Railroad and annex to the Windham County Museum in Newfane. You won’t have to ride the West River Railroad’s “36 Miles of Trouble” to enjoy a variety of soups from Brattleboro to South Londonderry. Ten restaurants from the 10 Depot towns along the old West River Railroad are bringing them to you: Whetstone Station (Brattleboro), Top of the Hill Grill (Dummerston), The Eatery (Williamsville), Rick’s Tavern (Newfane), Harmonyville Store (Townshend), Dam Diner (West Townshend), Bitter Sweet Memories Cafe (Wardsboro), D&J Jamaica Grocery (Jamaica), Whiskey Dicks (Winhall), The New American Grill (South Londonderry). Silent Auction bidding and the 50/50 raffle begin at 4:00. Soup, bread and fixings will be served at 5:00 PM, followed by desserts. Silent auction bids and the 50/50 raffle will close at 5:30 PM. The Society welcomes items for the silent auction (goods and/or services) to help make this year’s event another success. If you have items you are willing to donate, please contact Jane Robinson at 896-6102 or Sally Topitzer at 365-7698. An exhibit of the West River Railroad’s “36 Miles of Trouble” will be on display including the Newfane Railroad Station diorama (built by model craftsman of international renown Bill Banta, and on loan from Doug Cox), along with vintage photographs of the West River Railroad. A bit of local history captured beautifully in this podcast! The Brattleboro Historical Society Presents: This Week in Brattleboro History Podcast – West River Railroad and Robert Burns. BHS trustee, Joe Rivers, and his band of young historians at the Brattleboro Area Middle School examine the West River Railroad and Robert Burns. West River Trail moves forward. Organization works on plans to improve the area, including trail design and river access By Wendy M. Levy. DUMMERSTON—Just like the former West River Railroad that once traveled from Brattleboro to its terminus at the South Londonderry Depot, the recreational trail that now lies on its railbed has seen its share of challenges. But, unlike the ill-fated railroad, progress on the trail keeps chugging along. The West River Trail, developed and maintained by the Friends of the West River Trail (FWRT), is a publicly accessible system of paths meant for “educational, recreational, and alternative transportation purposes,” according to the FWRT’s website. Off-limits to cars, the trail is used year-round by hikers, bicyclists, picnickers, joggers, cross-country skiers, and snowshoers. It begins near the Marina Restaurant in Brattleboro and ends in South Londonderry. Along its 36-mile journey, the trail is broken by Route 30, buildings, and some sections where the FWRT is still working on construction and securing access. At the July 22 Dummerston regular Selectboard meeting, some members of the FWRT presented the board with an update on the group’s progress building the trail. Alex Wilson told the board the FWRT “has worked with the Vermont Nature Conservancy (VNC) to reroute the trail away from neighbors’ backyards.” He said the FWRT is currently working with the VNC on a Memorandum of Understanding to “finalize plans to improve the area, including trail design and river access.” The portion of the trail the FWRT is working on lies along Dummerston’s Rice Farm Road near the old Presby-Leland Quarry. The ownership of this stretch is a current point of contention between the FWRT and a few of the neighbors whose land abuts the railbed. The issue lies at the intersection of property rights, conflicting documents, and what happens when public utilities and resources obtain a right-of-way but then cease to exist and change ownership. Jason Cooper, also with the FWRT, told The Commons the story of the West River Railroad and how it relates to the current challenges in developing the trail system. In the 1880s, the Vermont legislature approved the railroad that would later be known as “36 miles of trouble.” After a number of false starts and large and small debacles, the final owner who had worked hard with his wife to maintain the rails finally gave up. The railroad went bankrupt in 1936, and the assets were returned to the state. But, the owners of the quarry in Dummerston needed the railroad to ship their granite to Brattleboro, so it could be sent “all over the world,” said Cooper. So, the quarry owners bought the railroad from “just north of the quarry to the center of Brattleboro,” Cooper said. In 1938, a hurricane destroyed the bridge spanning the West River, and “the quarry gave up,” Cooper said. They sold the entire railroad to a New York salvage company. This included the rails, bridges, rolling stock, switches, and spikes — everything metal — which the salvage company stripped and sold into the lucrative steel market. The salvage company also took ownership of the railbed itself, including the rights-of-way that allowed the old railroad to pass through private property. In early 2011, Cooper contacted the Salzburg Company, the salvage company that, at that time, owned the railroad that was once owned by the quarry. On May 16, 2011, Cooper bought the railroad from the company, and then transferred the deed to the FWRT. Wilson told the Dummerston Selectboard that the FWRT hired Eric Morse, of Morse Land Surveying, “to define ownership of the railbed.” Morse’s findings, in a letter dated Jan. 8, 2015, state the FWRT has the right to use the trail. As soon as the VNC gives the FWRT the go-ahead, clearing and maintaining the portion of the Rice Farm Road trail can begin. Although a few neighbors seem displeased, Cooper said most of them “love it,” and he added some have donated land and money to help the FWRT’s efforts. None of the Friends have collected a dime for their work, Cooper said, noting some have spent upwards of $5,000 of their own funds to further the goal of establishing and maintaining a recreational and alternative-transportation trail along the West River. Originally published in The Commons issue #320 (Wednesday, August 26, 2015). This story appeared on page D1. If you’d like to share this story on your website, please feel free to do so with credit to The Commons and a link back to commonsnews.org. Please join us to celebrate another West River Trail/Railroad milestone! The Historical Society of Windham County cordially invites you to a reception and celebration of its purchase of the Old Newfane Railroad Station and the creation of the New West River Railroad Museum. A special reception with beverages and light food provided and musical interlude by Gene Morrison, will be followed by a slide presentation on the History of The West River Railroad (WRRR) by Glenn Annis. Glenn Annis is considered the foremost authority on the West River Railroad. Since his last public presentation over a decade and a half ago, Glenn has continued to research the WRRR. This presentation includes photographs and findings on the WRRR not previously shared publicly. Sunshine and long summer days – perfect for heading out into nature. Wild mountain laurel and rambling roses in full bloom, sounds of the West River, sparkling sunshine – all can be found on the beautiful West River Trail. Sunday, July 14, 10 AM. Meet at the trailhead at the Marina end. Bring work gloves, wear boots. Removing remaining visible debris from the “dump area” on the east side of the trail, on the property we are acquiring. Some drainage work is also needed in a few wet spots. If you can’t make it to the workday, and would like to make a contribution, go to the CONTRIBUTE page and click on MAKE A DONATION. Many thanks! HOW DID IT GET TO BE FEBRUARY ALREADY? We hope your holidays were happy and that your new year is going well so far! Reports say that since the snows fell, both the upper and lower sections of the trail has been very nice for skiing and snowshoeing, (depending on the freezes and thaws, of course). I hope some of you have had a chance to get out there and enjoy this beautiful trail during the winter season! The public is invited to attend an Open House and social hour, with refreshments provided, hosted by the Friends of the West River Trail (FWRT), to be held on Tuesday, February 12, from 6:00 to 7:30 PM, in the South Londonderry Depot on Route 100. 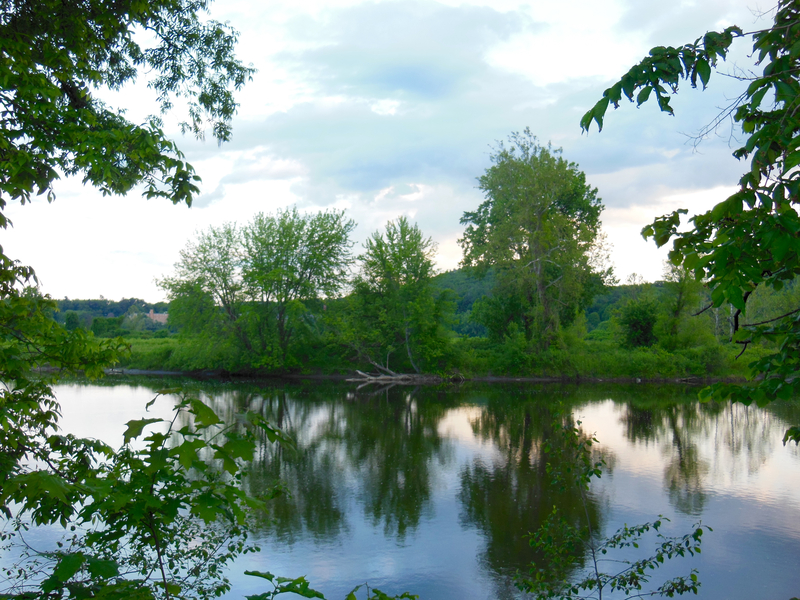 At the Open House, visitors will be updated on the current projects involving both the West River Trail (South Londonderry to Brattleboro when completed) and the Depot itself. Recent significant advances in trail development in the Brattleboro area by the Southern Section of the Friends will be recognized. During the social hour, the latest prize of memorabilia at the Depot will be formally introduced: a locomotive bell generously donated by William and Agnes Peele. It is believed that the bell came from one of the last regularly operated steam locomotives on the Santa Fe Railroad. Tim Lawrence will also be on hand to present a narrated video depicting his recent experience hiking on a rail trail, one of a series he is producing, and will also, as a rail historian, update us on the status of his “Forgotten Railroads” project. Timothy W. Lawrence is Founder and Videographer, I.M.R. Films, created in 2003. Since that time, he has worked on numerous projects from online advertising for Coca-Cola and Comcast to corporate videos for companies such as Skyhorse Publishing, Living WRAP and more. He resides locally, in Windham, VT. The Open House will be preceded at 5:30 PM by a short business meeting of the FWRT Board, which visitors are welcome to attend if they choose. Please plan to join your friends and the Friends of the West River Trail for an enjoyable and informative evening. We have met our phase 1 fundraising goal! The Thomas Thompson Trust agreed to grant us $10,000 once we raised $35,000 from the community — which we have done!!! Hurray! Many, many individuals, grant-making organizations and businesses helped make this happen. Thanks to everyone who contributed! Some of you may have noticed that fine crushed stone was spread on the trail late fall, starting just past the I-91 bridge and continuing for the next mile north. The material was donated by Mike Cersosimo, and the spreading and rolling was nicely done by Jason Evans. If you were able to walk or ride on that section of trail before the snow fell, you would have noticed that it’s a nice improvement to a section that was fairly bumpy due to exposed tree roots and holes. In the spring, we will see how the new surface withstood the winter and will welcome feedback on it. If the feedback is positive, we will explore whether other areas of trail could benefit from the same treatment. We have two beautiful kiosks in place! They were built and installed by Morse and Mindell builders. One is at the Marina trailhead and the other at the Rice Farm Rd trailhead. Many thanks for this donation from Jonathan Morse, Stephen Mindell and their crew. Thanks also to Home Depot in Keene, NH for selling us the supplies at a discount. We received a grant from the Vermont Youth Conservation Corps! We’ll be getting a crew of youth for 4 weeks this summer. They will focus on building the new section of trail from Rice Farm Rd to the quarry on Quarry Rd, and on installing bridges. The Brattleboro Police Department Bicycle Patrol has been patrolling the lower section of the trail two to three times weekly (when it is clear enough of snow) to look for any safety or maintenance issues. We encourage all trail users to notify us of any safety or maintenance issues you encounter, by emailing at lowersection@westrivertrail.org. 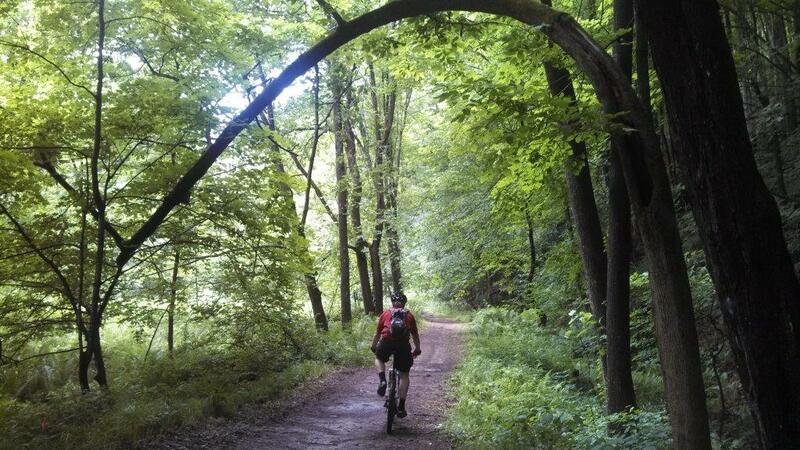 Check out the Gallery on the FWRT website for great photos from the trail. You’ll also see how you can send in your photos to be included in the Gallery. If the trail has been your muse and you have writings or artwork inspired by your experiences, we would love to post them on the website. Please send them in! We also welcome your blogs or comments! Spring Workdays on the lower section: when the ground is workable and the weather is amenable, we’ll be starting these up again. Watch for an email with dates or check the website. Posting information on our new kiosks: We need a volunteer to fill our kiosks, by posting signs, maps, announcements, photos, information of interest. Enjoy the winter, and we look forward to seeing you on the trail!